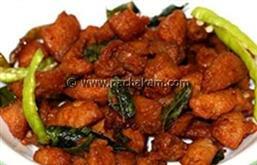 Kerala thattukada chicken fry is a spicy chicken fry made with red chilly flakes. 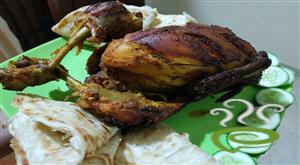 This kozhi porichathu is an easy to make chicken fry with simple ingredients. 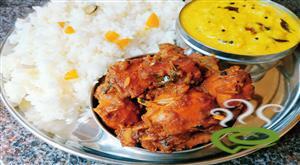 The chicken fried in coconut oil and curry leaves really enhance the taste. Good old days, the chicken fry you get in thattukada was so tasty. Now a days you need to be lucky to get that kind of taste. 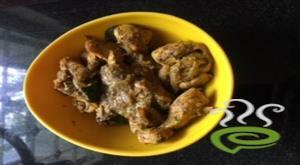 So I was trying to recreate the taste and I believe this recipe could full fill the thattukada chicken fry taste. Try this recipe to impress your family and friends. 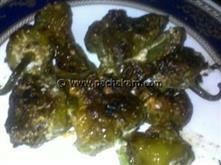 Please check out the video of this nadan kozhi porichathu below the recipe. Mix everything for marination and marinate it for an hour. Heat enough coconut oil to deep fry the chicken in a small pan on a medium heat. Once the oil is hot, fry the chicken in batches. Flip the chicken after 7 minutes. When it is 75% fried (after around 10 minutes) , add curry leaves. 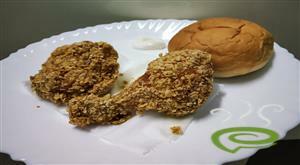 Remove the chicken when it is golden brown to plate with paper towel to remove excess oil from chicken fry. 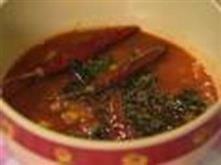 Serve hot as an appetizer or with chapathi/porotta. what a recipe... excellent.. thanks..